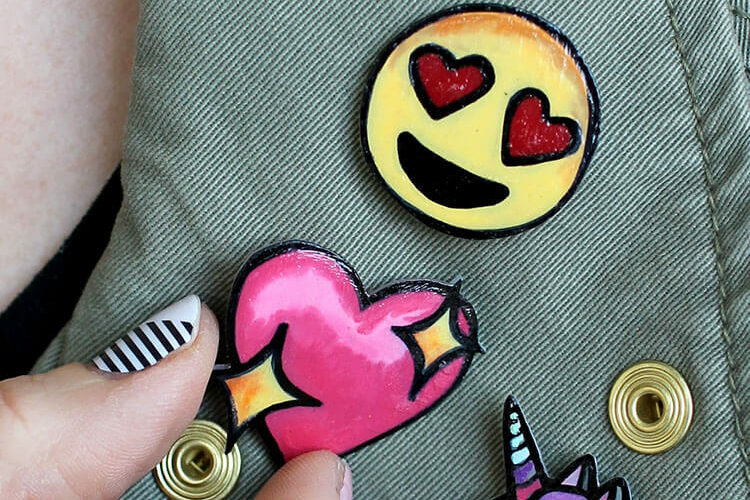 Did you know you can apply heat transfer vinyl to leather? It’s true! 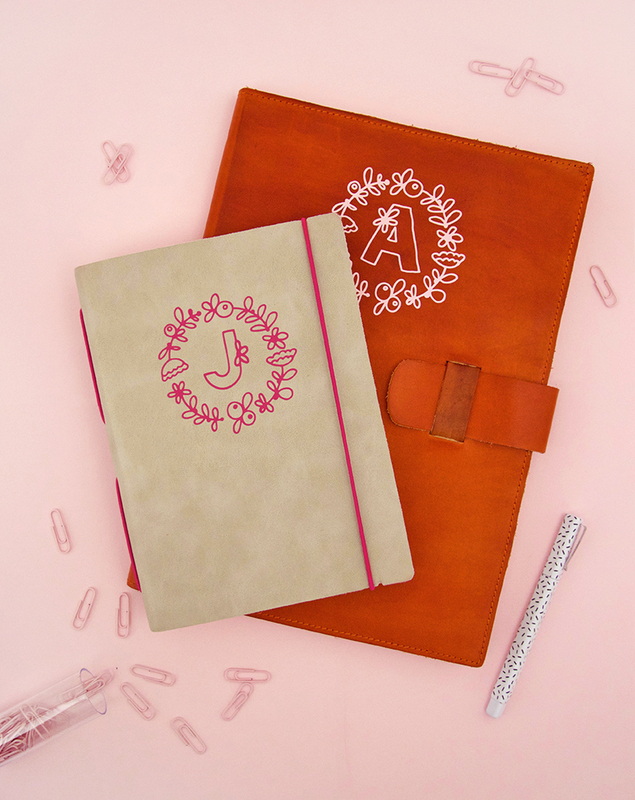 This simple technique is a fun way to customize leather gifts like this DIY monogramed leather notebook. Thank you to Expressions Vinyl for sponsoring this post! This post contains affiliate links, which help to support this site. Thanks! Today I am joining some of the other Expressions Vinyl ambassadors in a little Heat Transfer Vinyl Challenge! The rules are pretty simple. Basically, we could make anything we wanted as long as we used heat transfer vinyl, and here’s what I came up with. Did you know that you can apply heat transfer vinyl to leather??? It’s true! 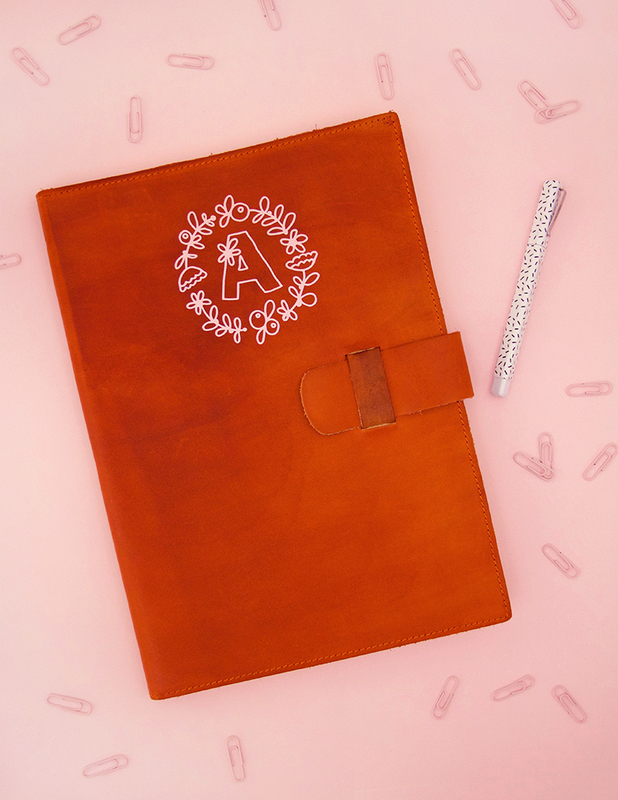 I remembered this little fact when I was brainstorming HTV project ideas, and thought monogrammed leather notebooks would be a lot of fun and also make kind of an awesome gift. So, I pulled out my ipad pro and apple pencil and got to sketching. I came up with these pretty floral monograms, and I kind of love ’em. 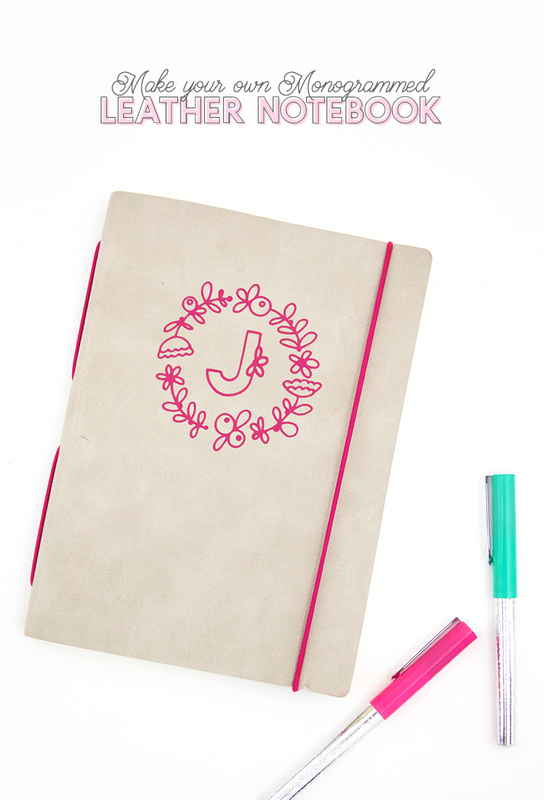 If you want to make your own little DIY monogrammed notebook, I’ve got you covered. 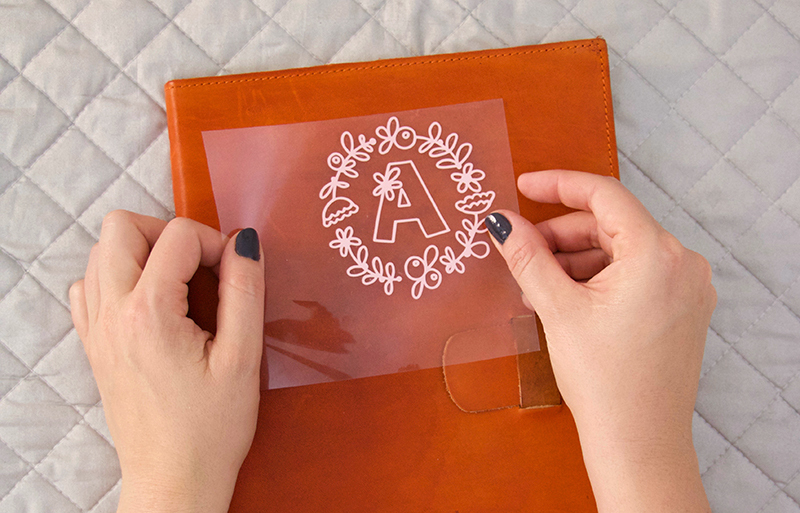 I will walk you through everything you need to know to apply heat transfer vinyl to leather AND I have free monogram cut files for every letter of the alphabet! 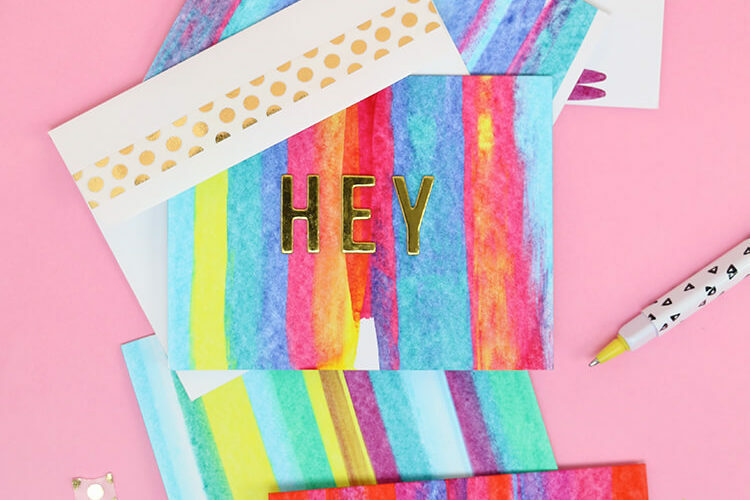 Ready to get making? The first step is to mirror your design in your cutting software. Heat transfer vinyl is cut on the back side of the material, so your design has to be flipped in order to read properly when applied. 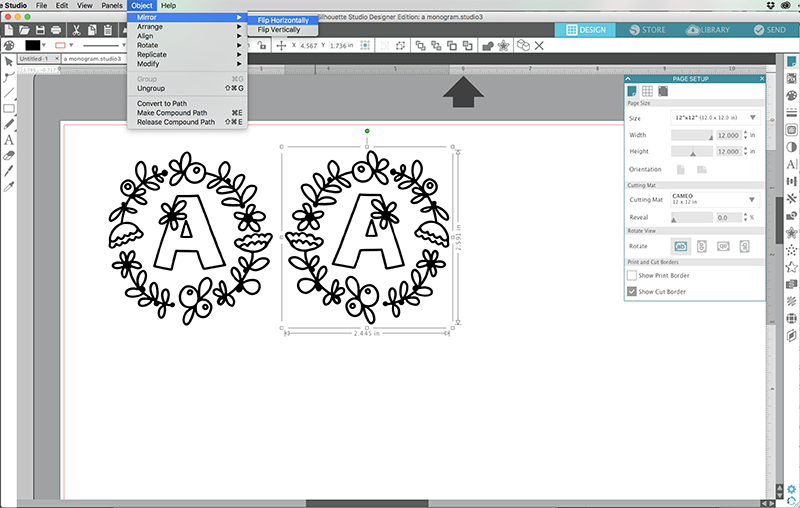 If you are using Silhouette Studio like me, select the design, the go to Object > Mirror > Flip Horizontally. Next, select the correct material from the Send tab, make any necessary changes to the cut settings, and send it to the machine. After your design has cut, you will need to remove the excess heat transfer vinyl from the carrier sheet. This process is called weeding. I really love and recommend this weeding tool. It has a nice sharp point, which makes it perfect for picking up all those little pieces. Once you have all the excess vinyl removed, you are ready to apply your design to the leather. And that’s it! Your awesome custom leather notebooks are all ready for your deepest thoughts or for gifting to your dearest friends. I really like the way these notebooks came out, but I’ve got about a thousand other ideas of places to put these floral monograms! Aren’t they fun? I’ve done every single letter of the alphabet, so get get your free floral monogram svg cut files (in the supply list above), and start monogramming all the things. So what do you think? Have any great ideas for leather & HTV projects? Tell me all about ’em in the comments. What if I have a heat press? Should I still use an iron? 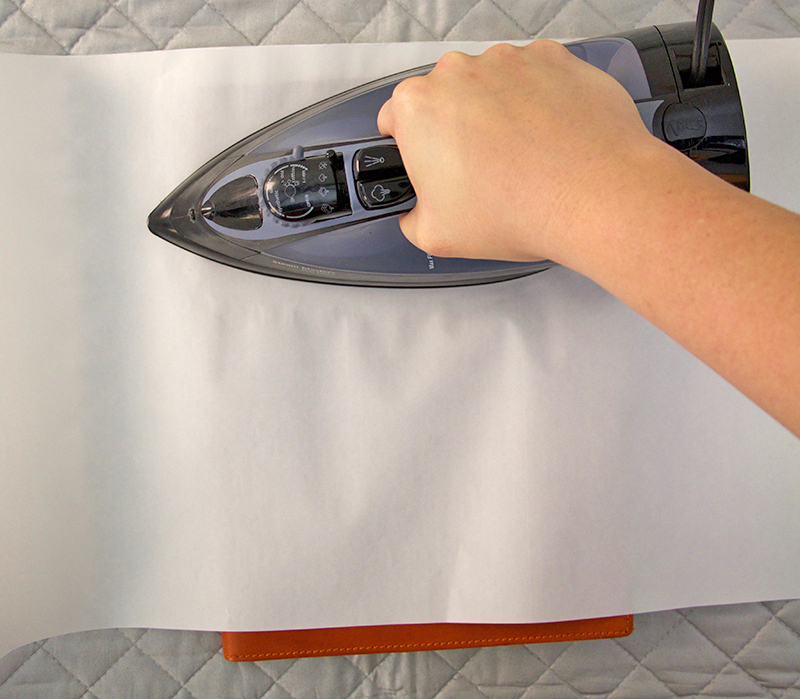 Also, can I just use my Teflon sheet between the iron and the leather? Or do I need to use cotton,? Good question, and what about temperature settings of the heat press? I’m sorry! I don’t have much experience with the heat press, so I’m not much help. I would do an experiment on a scrap piece of leather you don’t care about. Good luck!